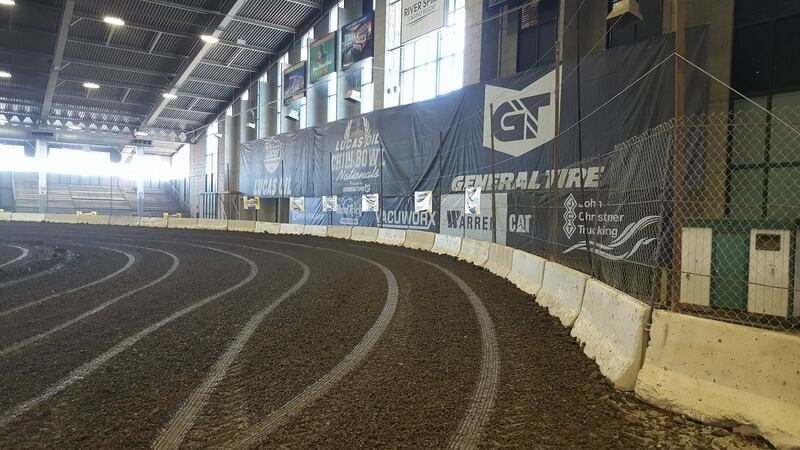 TULSA, Okla. (December 30, 2016) Wrapping Friday’s run of the 32nd Speedway Motors Tulsa Shootout, the fields are starting to take shape as all Heat Races have been contested; dropping drivers in everything from C-Features to Qualifiers. With two days of racing left to be contested, 178 of the 270 races on the weekend have been completed with 141 drivers winning at least one race atop the clay of the Tulsa Expo Raceway. The highest number of wins so far by any driver is three with six drivers grabbing a trio of checkered flags so far. Going into Saturday’s program, focus will be on Qualifiers and B-Mains. Saturday will begin with race No. 179 on the weekend and run through race No. 238. Saturday’s program has been updated to start at 11:00 A.M. (CT). The River Spirit Expo Center will still open at 9:00 A.M. (CT). General Admission for Saturday is $15 with Sunday at $20. Kids 10 and under get in free with an adult. For those unable to attend, the full event can be purchased online via Racinboys.com, who is the official online PPV provider. For continued updates on the 32nd Speedway Motors Tulsa Shootout, log onto http://www.tulsashootout.com. The Tulsa Shootout is also on facebook.